The promotional campaign launched by the Special Economic Zone Authority in Duqm (SEZAD) in the People's Republic of China started on 17 September 2018 from Jinan City, followed by Hangzhou, and ended on 24 September in Guangzhou. The campaign is part of SEZAD pursuit to attract new Chinese companies to invest in the Special Economic Zone in Duqm (SEZD), which is currently setting up a Sino-Omani Industrial Park on an area of ​​1172 hectares under the umbrella of Wanfang Oman Company. H.E. Yahya bin Said Al-Jabri, Chairman of the Board of Directors of SEZAD, called on the Chinese businesspeople and investors to invest in Duqm stressing the incentives provided by SEZAD to the investors. Al-Jabri stressed the depth of the political, economic and historical relations between the Sultanate and China, noting that the historical legacy of these special relations is a catalyst for further economic partnerships. In his opening statement of the "Invest in Duqm" Symposium held in Jinan, China, Al-Jabri stated that SEZD is the largest special economic zone in the Middle East and North Africa and divided into a number of investment zones, including industry, tourism, logistics, real estate development, and others. He pointed out that the defining characteristics of SEZD include a multi-purpose port, an airport, dry dock for ship repair, a fishing port and zone for fish industry. H.E. Al-Jabri referred to the incentives provided by SEZAD stating that it provides a number of facilities and incentives, including allowing the foreign investor to own 100% of the projects, tax exemption for up to 30 years renewable for a similar period, customs facilities, residence visas, recruitment of manpower, and other facilities and incentives. He also called on investors and representatives of the Chinese companies to explore investment opportunities in SEZD. On his part, Zhang Jing, General Manager of Wanfang Oman Company, praised the investment environment in SEZD, and encouraged the Chinese industrial companies to invest there stating that the facilities received by the Sino-Omani Industrial Park are very good. In a presentation during the symposium, he reviewed the projects SEZD focuses on and the progress therein. He referred to the completion of design of some projects, the commencement of work in the mall project, and scheduled commencement in other projects during the coming period. The plan for the Sino-Omani Industrial Park is to include some 35 projects at a cost of about USD 10.7 billion. The promotional campaign in China, organized by SEZAD, in cooperation with Wanfang Oman Company, aims to attract new investments and promote SEZD and the Sino-Omani Industrial Park. In his interventions during the Symposium, Ali Shah, Chair of Wanfang Oman Company, said that the company would like to increase the number of companies that invest in the Sino-Omani Industrial Park. 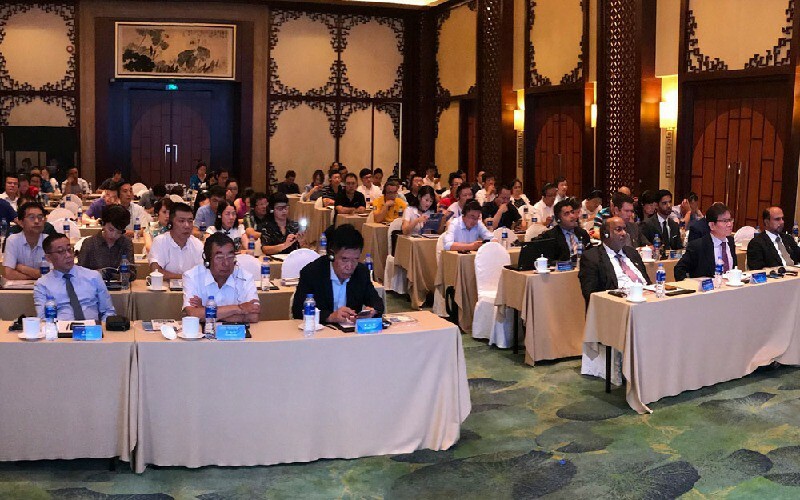 The symposiums, held in the three Chinese cities (Jinan, Hangzhou and Guangzhou), highlighted the infrastructure of SEZD, projects, and components, such as Duqm Port, Dry Dock, Airport, Refinery and Ras Markaz oil storage terminal. They also focused on the investment climate in SEZD and the incentives, and benefits facilities received by the companies that invest there. SEZAD and Wanfang officials, in their responses to the questions of representatives of Chinese companies, stressed that SEZD has many elements conducive to investment, pointing to the efforts exerted by both sides to speed up the work of the Sino-Omani Industrial Park. They also stressed at the same time the Sultanate's security and political stability, pointing also to the values ​​enjoyed by the Omani society that is open to other civilizations. In their inquiries, the businesspersons and representatives of Chinese companies focused on the investment environment in Duqm and the incentives provided by SEZAD. They also wanted to know more about the advantages of SEZD, fields of investment in the minerals sector and its availability in Duqm or nearby. They also posed questions on the industrial zone, modality of investing there and the factories it has. Dr. Ismail bin Ahmed Al-Balushi, Deputy CEO of SEZAD, said in response to the questions of businesspersons and representatives of Chinese companies that the incentives provided by SEZAD encourage investment there and take into account the aspirations of companies. He pointed out that the industrial zone is one of the investment zones in SEZD that witness the execution of strategic projects and has been growing. He indicated that there are a number of major projects in this zone, such as the Sebacic Refinery, Duqm Refinery and the bus production plant implemented in strategic partnership between the Sultanate and Qatar. The symposiums held in the three cities included presentations on SEZD, the Public Authority for Investment Promotion and Export Development (Ithraa), the Sino-Omani Industrial Park in Duqm, Oman Dry Dock Company and Duqm Port Company that highlighted investment opportunities and possibilities in SEZD. Erwin Mortelmans, Commercial Director of Duqm Port Company, reviewed the potential of the port, which is a multi-purpose port, pointing to the port's future role in the global trade movement. H.E. Yahya bin Said Al-Jabri, Chair of the Special Economic Zone Authority in Duqm (SEZAD), called on Shuifa Zhongxing Group to invest in the Special Economic Zone in Duqm (SEZD). This was during his talks in Jinan, China with Xiaojun Liu, Deputy Secretary General of the Party Committee and General Manager of Shuifa Zhongxing Group, and Shang Zhiyong, Chair of the Group. The general manager of Shuifa Zhongxing Group gave a presentation on the group and its investments. He indicated that the state-owned group operates in a number of key sectors in China and has foreign investments. He explained that the group manages government assets in Shandong Province, especially in the sectors of water, electricity, hospitals and tourism. The group has about 400 companies, with assets of 67 billion yuan. The meeting, which included officials from SEZAD, Wanfang Oman Company, and the Shuifa Zhongxing Group, was part of SEZAD promotional campaign in China aimed at attracting new Chinese investments. H.E. Yahya bin Said Al-Jabri asserted that Duqm is an ideal environment for Shuifa Zhongxing Group investment highlighting its strategic location on the Indian Ocean and close to the target markets of Chinese companies in Asia and Africa. Al-Jabri added that SEZD is currently growing and has the capacity to absorb large-scale projects. During the meeting, Wanfang Oman Company made a presentation on the Sino-Omani Industrial Park in SEZD that highlighted the Park, its operation and the projects scheduled there. For his part, Chair of Shuifa Zhongxing Group expressed his aspiration to cooperate with SEZAD and Wanfang Oman Company welcoming the joint work that achieves the goals of all. During the promotional campaign in the Chinese cities of Hangzhou and Guangzhou, the delegation of the Special Economic Zone Authority in Duqm (SEZAD) headed by H.E. Yahya bin Said Al-Jabri visited a number of Chinese industrial companies to learn and benefit from their experiences. The visit included Dahua Company specialized in IT systems and smart cities. During the visit, the delegation was briefed on the company's capabilities and technologies in the smart cities sector. The delegation also visited Wensli, a textile and silk industry company. In Guangzhou, the delegation visited Sinopec Petrochemicals Guangzhou that operates in oil refining and ethylene production, and GRG Banking, a leading provider of intelligent financial equipment and solutions, and the first supplier of ATMs in China. The company's officials indicated that its products and solutions are used in the financial, retail, telecommunications and information technology sectors in more than 80 countries and regions around the world. They indicated that the focus of the company is on smart manufacturing and technological innovation in various industries.